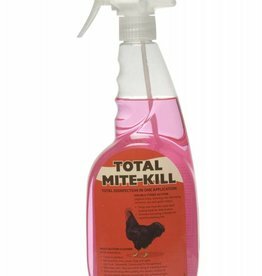 Poultry housing spray, disinfectants and mite remedies. 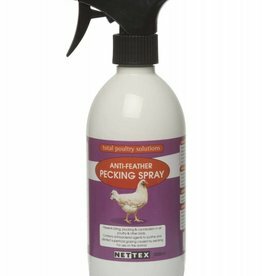 Nettex Anti Feather Pecking Spray for Poultry has a foul tasting substance and is so strong most biting or plucking will cease after 1 or 2 days. Ideal for cleaning all types of wild bird feeders and accessories. It is recommended that you clean your bird feeders on a regular basis. 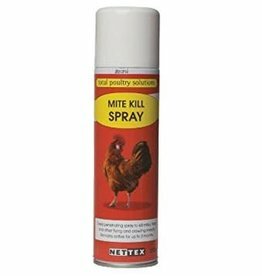 Nettex Poultry Mite Kill Spray can be used against fleas and other flying and crawling insects on hard, porous and non-porous surfaces. Nettex Total mite kill, is a dual working product that is a fast working insecticide with rapid knockdown, and a multi-purpose cleaner. 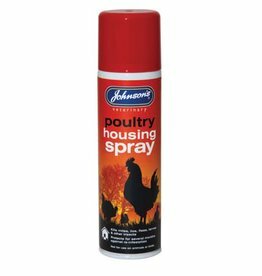 Johnsons Poultry Virenza Disinfectant and Cleaner is suitable for the disinfection of chicken coops and surrounding areas.